Download the lyrics, mp3 and instrumental track for “Give Thanks” written and recorded by Rachel Rambach, a board-certified music therapist and singer/songwriter. The concept of “giving thanks” is not one that is easily understood by many children. I try to include as many references to gratitude and thankfulness as possible in my classes and sessions during the Thanksgiving season, and this song is one that I came up with as an additional way to do so. “Give Thanks” provides opportunities for children to give physical expressions such as high fives, peace signs, etc. as an addition to the less concrete action of giving thanks. 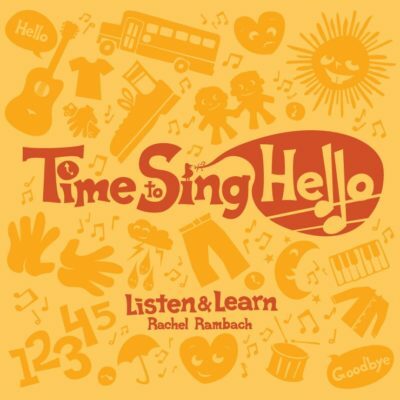 I also use this song as an opportunity to practice saying thank you, both verbally and in line with the rest of the song — with our hands (using the sign language sign for “thanks you” that most children already know). I hope you’re able to incorporate this sweet and calming song into your Thanksgiving repertoire in the same way that I have this season!